Queen of Hearts/Red Queen Concept Art 2. Here's yet another fantastic piece of concept art posted up on deviantART for the movie. Notice the date...JUNE 25th 2008!!. 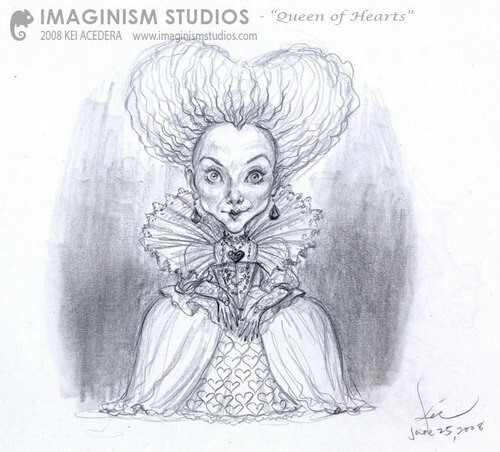 Wallpaper and background images in the Alice in Wonderland (2010) club tagged: alice in wonderland queen of hearts red queen concept art tim burton helena bonham carter.